This is a gorgeous gift to send to that special someone.... 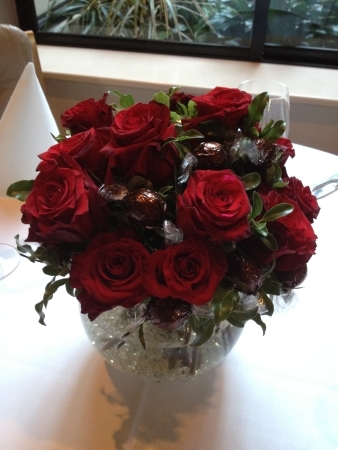 Stunning Premium Red Roses, with Lindt Chocolates, all presented in a gorgeous glass pot arrangement. Certainly a gift that makes a statement. Also a perfect arrangement to utilise as a table centrepiece for that special occasion.